Wait, so does Spoink have to balance that pearl on its head at all times, or is it attached in a more substantial way? Perhaps the top of its head is indented somehow. 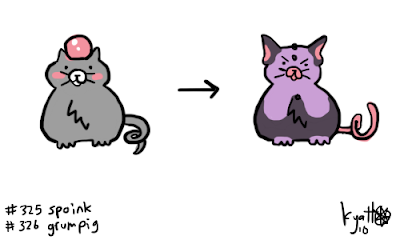 Why did they make a pig pokemon so much like a shark? Because that's how sharks hearts work by the way, they have to swim while they sleep (More like 'catnap') or they'll die. Constant moving for sharks and spoinks!